The Ross Flexiflo Patrol incorporates the use of a specially-designed administration set which automatically clamps off the flow of fluid when removed from the pump, preventing free-flow. 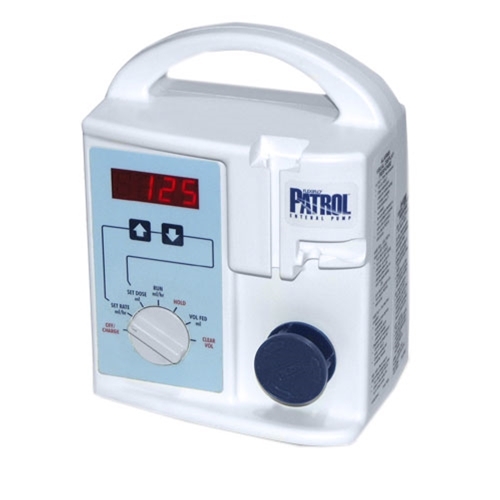 Features include a dose limit, accumulated volume counter, programmable hold time, lock-out, and memory which retains the rate, dose, and accumulated volume. The Patrol is recommended for pediatric patients. Rotary peristaltic operation.